Chilean searchers on Tuesday found the bodies of two professional skiers, including a Canadian, who had been missing since an avalanche swept them away while they were hiking in the country's south. The Associated Press reported from Santiago that the remains of Canadian Jean Philippe Auclair and Sweden's Carl Andreas Fransson were spotted by a helicopter around noon in bordering Argentina during a joint rescue operation by Chilean police and the armed forces. 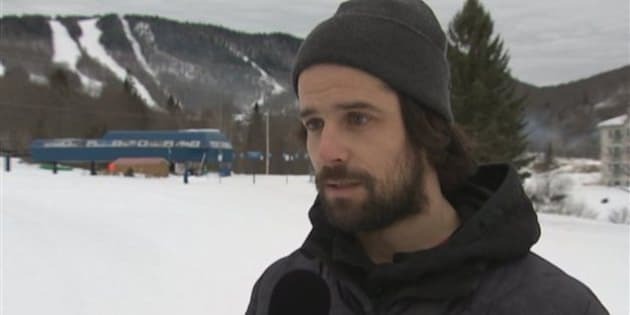 Armada Skis, a company in California, confirmed to The Canadian Press that one of the missing hikers was the firm's co-founder, Quebec freeskier JP Auclair, but offered no further comment pending permission from his family. Auclair's biography on the Armada web site describes him as a prize-winning skier and filmmaker who found a way to combine his two passions. It also said he had obtained Level One certification in avalanche operations through the Canadian Avalanche Association in 2009. In an interview posted on the site, Auclair recalled meeting Fransson for the first time and deciding to join forces. "He had lots to teach me and I had a lot to learn from skiing with him," Auclair said. "Every year, we try to make a bit of time to ski together, but it was always hard with conflicts of schedule and trips. This year, we decided to do something more official and decided to dedicate time to ski together every year," he said. "We want to ski our ultimate dream locations in the world. He’s a certified guide, so we can go anywhere. That’s his contribution to the partnership and I’m in charge of everything creative from editing to how the project will look and feel. Our goal is to have a really fun project, hang out together, and make a really low key, low energy project." Auclair also said his approach to his work changed after he became a father. "Now, I double, triple check and do my homework a lot more thoroughly. The factors that I’m not aware of, I want to make sure it’s dialled before jumping into the unknown." The grim news prompted an outpouring of grief from the ski industry and the pair's fans. The Canadian Freestyle Ski Association said on Twitter it was "shocked & deeply saddened" by Auclair's sudden death. "He was a legendary skier & his presence in the sport will be missed. Our thoughts and prayers go out to his family and friends during this very difficult time," the organization said. Olympic skier Jenn Heil was one of several professional athletes expressing their grief online. "With heavy hearts we say goodbye to @AuclairJP You were a bright light who changed the face of skiing. RIP," she wrote. Authorities said Auclair and Fransson arrived in the Aysen region of Chile's Patagonia on Thursday along with two other tourists from Sweden. They had been hiking the 11,800-foot (3,600-meter) San Lorenzo mountain, and disappeared when a wall of rocks and snow cascaded down Tuesday, dragging them to a stream in Argentine territory. The two survivors in the group were treated at a local hospital, and police said they provided information to help locate the bodies. The regional director of Chile's Emergency Service, Sidi Bravo, said 90 per cent of the people who go missing in the hard-to-reach area are never found. "It was lucky to have found them and to be able to recover them," Bravo said. Officials said the bodies would be removed by Argentine authorities and were expected to be examined by the legal medical service in Rio Gallegos, Argentina, before being returned to their homelands.